Australian Vinyls Corporation Pty Ltd (AVC) is part of Wesfamers Chemicals, Energy and Fertilisers and Australia’s leading supplier of PVC resin and wood-plastic composites. 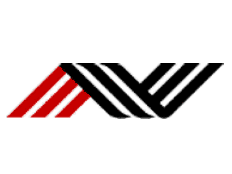 AVC also supplies a range of specialty products and chemicals including PVC processing additives, plasticisers, specialty elastomers and polyethylene pipe resin to the Australian market. These products come from international suppliers who are at the forefront of the chemical industry. AVC has three key business units: Resins, Specialty Products and ModWood Technologies Pty Ltd. The PVC resin AVC supplies is converted into a wide range of products by Australian manufacturers for products such as pipe, electric cable insulation, packaging, floor coverings and automotive components.